"Success is not a given, even when you put in your best efforts"
Every entrepreneur writes his or her own success stories. Sometimes (s)he gets a little help from friends and well wishers. At TGIF Bazaars, we breathe and live the 3 WINS! WINs for the Venues who work with us - our success is also their success. Their success also helps with our success. So we're putting a very simple system of collaboration that we found that is working well, particularly for our merchants and us. The system is FREE of charge, and all you need to do is to understand how the Facebook algorithm works, and yes, it also means you need to be more active on social media. As brick and mortar based businesses, our online presence is equally important - how else would we create awareness of the interesting products and services that we have that can help bring crowds to malls? ​Are you going to spend heavily on advertising? Unlikely. Our system functions on the principles of collaboration and cooperation, going for Win-Win-Win within the community of pop-up market entrepreneurs. The system that we created leverages on Facebook, community efforts as well as some social media advertising by TGIF Bazaars. And this system is AMAZINGLY simple! All you need to do is be active Facebook using this FOUR simple steps! Show up in the booth on the day you're participating in! Tag yourselves and/or leave your contact emails, or urls so that customers will be able to get to know you. 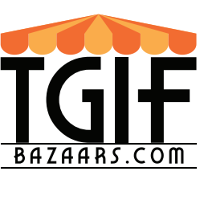 TGIF Bazaars will then share and boost the events on Facebook. When you participate in our markets, you are part of our community, And if all of us play our parts, we will be able to create better publicity and increase demand for our businesses. This group is a dedicated Facebook sales platform for shoppers to find our merchants. Don't have an online store? Not to worry! Post your products / notices here ! How to participate in our system of working on a step by step basis.